J. Paul Getty’s formula for success was, “Rise early, work hard, strike oil”. The modern equivalent might be, “Find a niche market on the internet.” Oh, and like that notorious miser Getty, “pay as few taxes as you legally can”. Those billion-dollar tech giants who found their particular ‘oil’ market are indeed following in his footsteps. Their deliveries use our roads, their employees use our NHS, they are protected by our police and they benefit from all the services that central and local government provide, yet they contribute as little as they possibly can towards the cost. And they are largely aiding and abetting the devastation of our high streets. Compare tax paid by Amazon in 2017 with singer-songwriter Ed Sheeran’s contribution. On a reported profit of £72 million Amazon UK Services Ltd. paid only £4.5 million in tax. Ed Sheeran on the other hand paid £5.29 million on a profit of £27.3 million. More than £1 million more tax on less than half the profit. Sheeran’s turnover was £36 million. Amazon’s turnover appears impossible to quantify. It used a separate company in Luxembourg – the tax haven of choice for many tech giants, including iTunes and Google. But filings in the United States show its UK turnover was £8.7 billion. Amazon says it’s a low-margin operation investing heavily in the UK. Nonetheless, those low margins have managed to make founder Jeffrey Bezos the richest man in the world – worth more than $150 billion. Not only do the tech giants get away with paying little corporation tax, they pay minimal business rates as well because their premises are rarely in expensive locations. Yet Iceland, the smallest of the UK’s national supermarket chains, pays £40 million a year in business rates. What is the government doing about it all? Well, a new 2% digital services tax on US tech companies with a turnover exceeding £500 million comes into effect next year, and there will be a VAT clampdown on online markets, but neither is likely to make a significant difference. The tax affairs of the tech giants are the tip of the iceberg. According to the Tax Justice Network, a modest estimate of UK tax revenues lost every year from companies and individuals is around £2.5 billion. Everyone wants to pay as little tax as possible – I certainly did when I had my business – because it’s perfectly legal. But then I didn’t employ an army of lawyers and accountants to find ways to reduce my bill. The big players do, and it’s only when the figures mount to astronomical proportions that we really see the damage. Just think what that £2.5 billion could do for our hospitals, schools, police, fire service and transport networks. Just think how some of it could revive our ailing high streets. Just think what a small share of it could do for Hastings? So why are so many international corporations getting away with it? One reason is their power to hold governments to ransom with promises of investment and employment. Take Apple in Ireland. In 2016 the European Union found that it had benefited from illegal state aid and ordered it to pay €13 billion in back taxes, plus interest. It was the largest corporate tax fine in history. Astonishingly, the Irish government actually joined Apple in appealing against the ruling. Why? Because Apple has more than 300 suppliers and some 17,000 employees across the country. And because the Irish government can’t afford to lose its reputation as a favourable tax haven for US-controlled multinationals, which pay over 80% of all Ireland’s corporate taxes and employ about 25% of the labour force. Compare this with Amazon in the UK. In October 2018 it announced that it was creating thousands of new jobs and its workforce would total 27,500 by the end of the year. There’s no way of knowing if it struck a deal, but it would be surprising if the government weren’t throwing out a few sweeteners to Britain’s largest employers in the face of Brexit. As the EU continues its pursuit of a more transparent and fairer tax system, the Irish economy could well suffer. But thanks to its EU membership, it will be protected. The UK economy will also suffer, and who will protect us if we’ve left the EU? A few sweeteners thrown out by the government is nothing compared with secretive, unregulated offshore tax havens, where as much as 10% of global assets, amounting to trillions of dollars, are estimated to be hidden. Offshore lawyers, accountants and so called ‘wealth advisers’ help clients secrete their billions in anonymous trusts, shell companies and offshore banks where the taxman, Interpol and ex-wives can’t track them down, and where the illicit proceeds of drug dealing and international crime are laundered. And, most criminal of all, where the rulers of many of the world’s poorest nations siphon off their country’s wealth. and foundations, and with multinationals declaring their profits in the country where they are earned. Sadly, the UK has not shown itself to be equally enthusiastic, but then much of our wealth is created in the City of London, which, according to Nicholas Shaxson in the New Statesman, is ”an offshore island inside Britain, a tax haven in its own right”. Some argue that the Corporation of the City of London rates among the most secretive and powerful tax havens of all, even having its own representative in Parliament and with Conservative MPs lobbying on its behalf in Brussels. And, of course, the City has close ties with the UK Crown Dependencies – Jersey, Guernsey and the Isle of Man – as well as our 14 Overseas Territories, which themselves constitute 25% of the world’s secretive offshore tax havens. 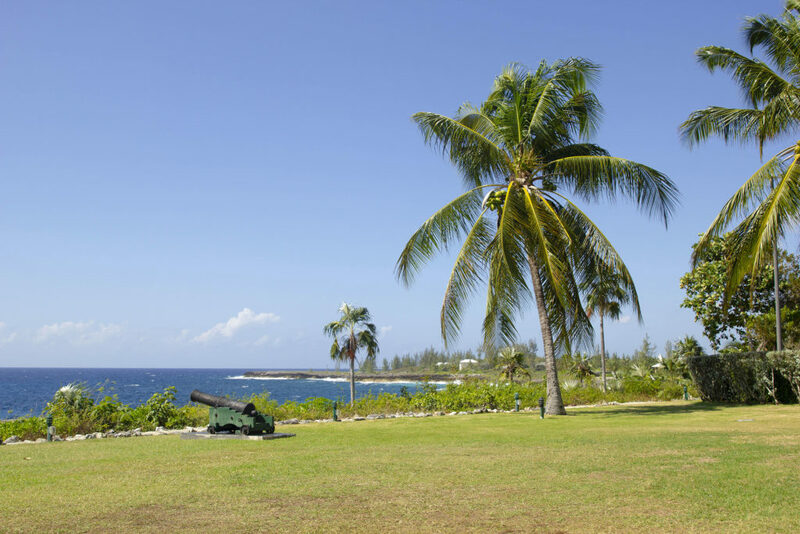 These include Bermuda, the Cayman Islands and the British Virgin Islands. in poverty. How heart-breaking that those who would benefit most if the EU clean-up campaign succeeds were persuaded by self-interested billionaires to vote Leave.